It’s estimated over 95% of people worldwide have some form of health problem. From both mental and physical illness, it’s almost guaranteed you or someone you know will be affected by some form of health concern at least once during your lifetime. However, whilst the majority of health problems are relatively minor and can be easily managed with the right care and medication, there are plenty that are considered to be major crises. For example, it’s estimated over 1.6 million people in the US alone were diagnosed with cancer last year, with almost half of them expected to die from the disease. Whilst many cases of cancer (and other major health concerns) are diagnosed early, there are millions of cases in which it comes completely out of the blue. Without warning, your life could be catapulted into a state of health crisis, and it can be extremely difficult to handle it if you’re not prepared. So, if you’ve suddenly received a major health diagnosis or simply want to learn some coping mechanisms to be prepared for anything that may arise in the future, here are some top tips to handle serious health problems and stay as positive as possible! When faced with a sudden health diagnosis that has the potential to turn your life upside down, it’s very easy to feel isolated and alone, thinking absolutely no one in the entire world will understand what you’re going through. Whilst every individual case will be different, it’s crucial to remember that there will be thousands, if not millions, of people worldwide going through the same health crisis as you, and it’s likely they’ll be a great support system to help you cope. Getting online is a great way to connect with other like-minded people in a similar situation to you. Not only will you get to speak to others who really understand what you’re experiencing, you’ll also likely receive tips and methods to help manage your disease or condition in the most appropriate way. In fact, you may even make some new friends which is a definite bonus! To emphasize the power and support online groups can provide, take a look at these breast cancer stories written by real people simply to share their experience with others. Whilst this may not immediately come to mind as a coping mechanism, writing a journal whilst going through a health crisis is a simple yet extremely effective method of tracking your thoughts and emotions. In addition to physical symptoms, health problems will inevitably have an effect on your emotions too. So, in order to cope with them and understand exactly how you’re processing the diagnosis, keeping a daily journal will significantly help you come to terms with how you’re feeling both physically and mentally. It’s also a great way to keep track of your symptoms too, vital for detailing the progress of your disease and monitoring how your body is responding to any treatments you may be receiving. A health crisis will often involve multiple trips to the hospital for tests and examination. Whilst this is crucial for the management of virtually any health problem, it’s important to take yourself away from the hospital mindset and have some ‘me time’. If at any point you feel things are getting too overwhelming and intense on the medical side, arranging something like a spa day is ideal for winding down and giving your body and mind some much-needed TLC. But, if this isn’t possible, simply having a bubble bath with candles and relaxing music is a simple way to pamper yourself whilst keeping close to home and your loved ones. After receiving a life-changing diagnosis, it’s completely natural to feel like your life may be coming to an end. Whilst it’s normal to feel this way, this kind of negativity won’t help in the long-run. 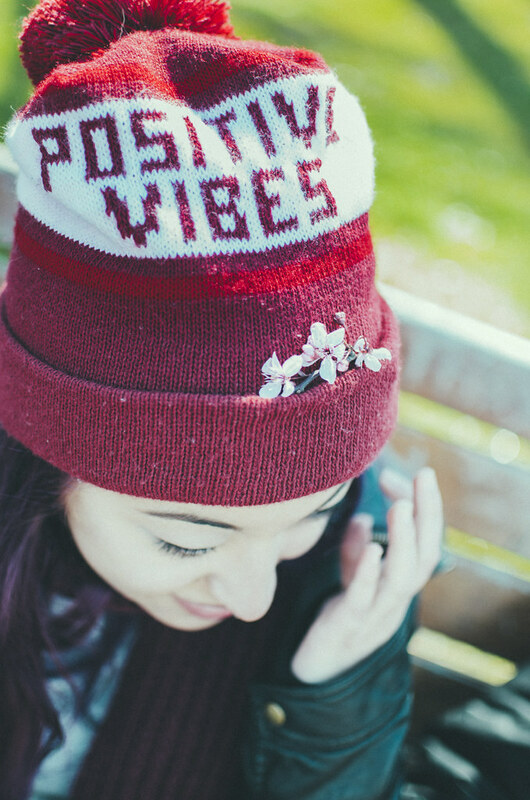 Staying upbeat and keeping a positive mindset is often much easier said than done. But, if you sit back and appreciate everything you’ve done in your life and the little every-day things we so often take for granted, gratitude will follow and you’ll soon find your initial negativity melting away and being replaced by wanting to enjoy your life to the full whilst you still can. Handling a major health crisis is tough, and anyone who thinks otherwise is probably kidding themselves. But, whilst it will be challenging, there’s no reason you can’t manage and handle it with positivity and continue to love both your life and yourself. Melissa Sakow is the Communications Director at SHARE Cancer Support, a non-profit organization founded in 1976 that is dedicated to building a network and community for women affected by breast and ovarian cancer. There is growing evidence that an individual’s level of power to influence decisions in workplace and healthcare settings and in the living environment impacts on their health.ii Current evidence shows that the more power or control over their lives a person has, or feels they have, the better it is for their health and wellbeing. While there seems to be lots of action aimed at empowering communities, there is currently very little evidence on how such interventions actually impact on individuals’ health and wellbeing (positively or negatively). Close inspection of the evidence on things like collaborative health promotion and volunteering shows that such interventions rarely empowered people to shape decisions. This stresses the important point that simply being involved does not necessarily mean that you are empowered. Furthermore, when people appeared to be empowered through interventions, health and wellbeing impacts were rarely measured as part of evaluations, with most studies focussing on the extent or quality of service deliveryiii. It is undeniable that we need more health and wellbeing-focussed evaluations of community empowerment interventions, and we also need to bring together the limited evidence that is currently available. Both evidence synthesis and better focussed primary evaluations will help to strengthen future evidence and improve the quality of interventions that are offered. The Community Empowerment Evidence Network (CEEN) is an email group for researchers, practitioners, policy makers, and community groups who produce or use evidence on community empowerment. Emails to CEEN, including attachments, are stored in a searchable archive. CEEN is therefore a new and much needed depository for discussion, theory and evidence on the health and wellbeing impacts of community empowerment interventions. If you are CEEN to join, please subscribe to the network here www.jiscmail.ac.uk/CEEN, then post your comments, questions, case studies and evaluations to CEEN@jiscmail.ac.uk. i Marmot M (2004) Status Syndrome: How Your Social Standing Affects Our Health and Longevity. Bloomsbury: London. ii Examples of systematic review level evidence: (a) Theorell T, Hammarström A, Aronsson G, et al. (2015) A systematic review including meta-analysis of work environment and depressive symptoms. BMC Public Health. 15:738. (b) Shay L, Lafata J (2015) Where is the evidence? A systematic review of shared decision making and patient outcomes. Medical Decision making. 35(1):114-31. (c) Durand M-A, Carpenter L, Dolan H, et al. (2014) Do interventions designed to support shared decision-making reduce health inequalities? A systematic review and meta-analysis. PLOS ONE. 9(4):e94670. (d) Whitehead M, Orton L, Pennington A, et al. (2014) Is control in the living environment important for health and wellbeing, and what are the implications for public health interventions? Public Health Research Consortium: London. Believe it or not, there’s a direct correlation between your personal health and fitness and your ability to perform as an entrepreneur. Think about it: between having the mental stamina to trek through the tough times or the ability to make huge decisions at a moment’s notice, being at the top of your game health-wise is always a plus for business owners. However, there is no blanket approach to improving your well-being. After all, some of us may have health issues that have gone undiagnosed over the years despite taking care of ourselves. Meanwhile, some of us may have let our well-beings fall to the wayside in lieu of dollars and cents. What can you do to help improve your health that you may have been overlooking over the years? Although conditions such as ADHD are often attributed to children, the fact remains that many adults suffer from the condition as well. If you find yourself consistently disorganized, unable to sit still for any given task or consider yourself to be a poor listener, you may suffer from hyperactivity yourself. Although it’s easy to disregard such symptoms as they seem like common behavior, ADHD can severely impact your productivity and should be taken seriously. As such, you’ll need to see a medical professional to receive a proper diagnosis and treatment. Although there are a variety of treatment options, you can save money on your medication through online discounts such as this Vyvanse coupon. Depression and anxiety are often treated as identical because of their similar symptoms; however, they are two separate conditions. In many cases, depression leads to anxiety which makes it difficult for entrepreneurs to engage with their businesses or family members. Feelings of lethargy or constant fear can be crippling to entrepreneurs who suffer from either condition, both in their professional and personal lives. Both conditions are likewise difficult to diagnosis without speaking to a professional. Rather than fall prey to the stigma of mental health conditions, it’s important for business owners to consider treatment options such as cognitive behavioral therapy rather than hope their symptoms go away on their own. Such therapy serves as an alternative to immediately relying on prescription medication and can help suffers get to the root of their condition. Although many entrepreneurs embrace the “work hard, play hard” lifestyle, it’s undoubtedly not for everyone. If you’ve struggled with alcoholism in the past or wonder in the back of your mind if your drinking habits are catching up with you, it may not hurt to take a break from booze to see how your body responds. Between losing weight and improving your sleep quality, less alcohol translates into more productive behavior in general. While some people may get away with tapering themselves off of alcohol or quitting cold turkey, some people can live just fine with a few drinks now and then. If you’re in a situation where most of your social and business interactions are somehow fueled by alcohol, however, chances are you need to rethink your priorities for your sake of your health, family and business. Remember: your health plays a significant role in your success as an entrepreneur. The better the take care of yourself, the more likely you are to increase your bottom line. This document is one of a series developed by the SHA that underpin our recommendations for the Labour Party Manifesto. Each has been developed with contributions from many experts and curated by Brian Fisher through an SHA Policy Commission. They remain in draft and have not been approved by SHA Central Council. They offer an opportunity to explore policy in more detail through debate. They are timely as the NHS is such a key part of the election. Many of us will spend hours in our gardens because we we want to create a space we enjoy spending time in and are proud to show off to guests. But, did you know that gardening can improve both your mental and physical health? Nature has long been known for its relaxing qualities – as a place that provides peace and tranquillity. Simply spending time in a garden can be good for you and is it any surprise when you are in the fresh air, surrounded by sweet-smelling flowers all of which are teaming with wildlife? In care homes gardens have actually been found to reduce agitation and aggression, while hospices have found they play a key part in end-of-life care. If being in a garden can have such a positive impact on your health just imagine what working in one can do. It is believed that ‘horticultural therapy’, which has already been implemented for those who have had strokes or are recovering from physical trauma, should be prescribed on the NHS. The thinking behind this is that if gardening were more widely used as a treatment for mental illness and obesity, substantial savings could be made to the UK economy. Gardening is a very physical activity – due to the stretching, bending, lifting and walking that comes with pushing wheelbarrows, carrying bags of soil and cutting back bushes, you can burn up to 330 calories in just one hour. Spending an hour in the fresh air amongst nature and wildlife has got to beat running on a treadmill in a stuffy gym for the same amount of time, hasn’t it? This physical exercise also helps to prevent disease, weight bearing tasks in particular are good for your heart and blood flow. In fact, it is believed that daily digging can actually extend your life and can help with flexibility and mobility – helping to stave off debilitating conditions. You know what they say, healthy body equals healthy mind – when we exercise levels of serotonin and dopamine, which make us feel good, rise and levels of cortisol, which makes us stressed, is lowered. Stress is the cause of many illnesses but gardening can alleviate this before it gets any worse. A study conducted by Gardeners World Magazine found that 90% of gardeners, from a poll of 1,500 think that it improves their mood. This is because it enables you to take your negative feelings out on it. Alongside this it will lower levels of fatigue, depression, tension and anger while heightening self-esteem, mood and sense of worth. Perhaps it is time to dig out the spade from the back of the shed, dust off the cobwebs and start digging up the soil – improving your health at the time as creating a beautiful space. In recent years there has been a growing understanding of just how essential sleep is in order for us to live healthy and active lives. This has led to an entire industry of sleep scientists and bed retailers all seeking to find new ways of helping us achieve that mythical eight-hours sleep. But what is it that sleep does that’s so essential to our well-being? When sleeping our bodies carry out essential maintenance in everything from repairing blood vessels to regenerating damaged skin cells. And such is the power of this activity, that those suffering from sleep deprivation have been shown to also be afflicted with ailments like cardiovascular disease, diabetes and high blood pressure. As children we need plenty of sleep in order to sustain healthy growth and development, and with recent research that shows that sleep can influence obesity levels, it’s clear that we are only just starting to understand how our sleeping habits can affect our physical lives. We also need plenty of sleep in order for our brain to operate properly through the daytime. Although there is still a lot of debate over the function of dreaming, it’s been suggested that this activity could play a large part in helping us process and form memories. Adequate amounts of sleep are also essential in order for us to control our emotions and stave off feelings of anxiety and depression. Anybody who has suffered a poor night’s sleep will know just how hard it is to do even the most basic of tasks the following day. This is because the amount of sleep we get can govern our reaction times and productivity which has many worrying aspects if we are involved in any physical labour. This is especially so as recent research has shown how the phenomenon of microsleeping could mean that many accidents have been caused as a result of mild sleep deficiency. And above all, it shows how we need to do all we can to take advantage of any bed offers to ensure that we get enough sleep for our physical and mental well-being.